Bed in the dorm was nice, there’s a curtain, light and socket next to each bed. The staff was extremely helpful and went above and beyond to make sure everything was perfect for our stay. It is really close to the airport and convenient for a late night or early morning flight. The bed was nice but the rooms are a little crowded. Fine for a short stay. The rooms were adequate for the money and close enough to the airport. The "lounge" was a great place to go after a busy day to relax! The room was fresh with the air conditioner. It's close to the street so really easy to have transport but also noisy. Clean room, comfortable bed, rooftop lounge area is so cool and cozy place to relax. 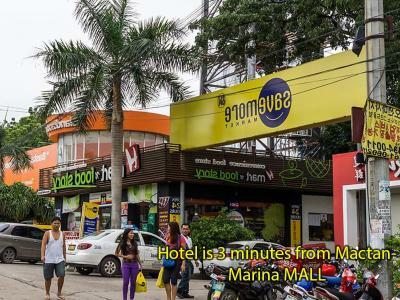 The Stopover Hostel - Mactan This rating is a reflection of how the property compares to the industry standard when it comes to price, facilities and services available. It's based on a self-evaluation by the property. Use this rating to help choose your stay! 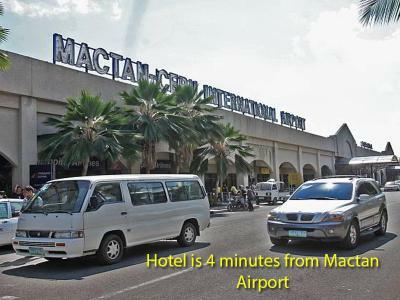 Located a 13-minute walk from Mactan Island Convention Center, The Stopover Hostel - Mactan offers 2-star accommodations in Mactan and features a garden. This 2-star hostel offers a 24-hour front desk and room service. Hoops Dome is 1.5 miles from the property. Featuring a shared bathroom, rooms at the hostel also provide guests with free WiFi. 10,000 Roses Cafe is 7 miles from The Stopover Hostel - Mactan. 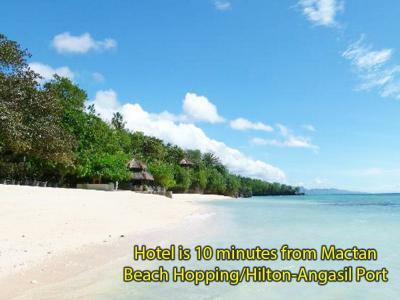 When would you like to stay at The Stopover Hostel - Mactan? House Rules The Stopover Hostel - Mactan takes special requests – add in the next step! 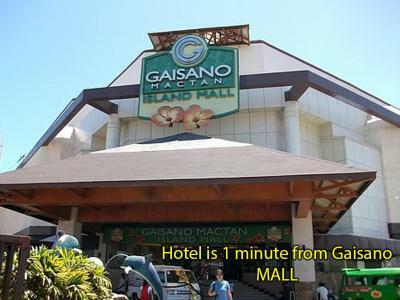 All children under 12 years are charged PHP 400 per night for extra beds. Debit card The Stopover Hostel - Mactan accepts these cards and reserves the right to temporarily hold an amount prior to arrival. The Stopover Hostel - Mactan accepts these cards and reserves the right to temporarily hold an amount prior to arrival. The noise of the road nearby The bathroom is in the bedroom which isn't convenient when you don't wanna wake up the other guests. Near the airport and staff is nice and helpful ! I arrived at 1am without any problems! Close to the airport ! Just perfect if you want to stay over night to catch an early flight ! Very nice staff ! Requested for lower bunk bed but they didn't settle my request. Handy spot for a layover to catch a flight. The staff were lovely! Janice on reception was amazingly helpful and friendly! You didn’t get any blankets for sleeping also the bathroom could be more clean. The rooms are simple, but ok. Also the Location near the airport is good and you can get easily around. Stuff was also helpful. And the terrace is nice for hanging around. The linen was clean and the rooftop meeting area was quaint. The bathroom door didn’t open or close every easily and there was no toilet seat. Staff were friendly and helped us get a taxi to the airport at a really early hour. The room was clean.